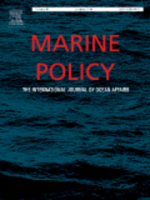 This special issue, global in scope, builds on a previous TBTI Special Section/Issue in the November 2015 issue of Marine Policy, which addressed the effect of neoliberalism on North American small-scale fisheries (SSF). This new issue addresses a question of whether anything has changed notably since the 2015 publication. Is neoliberalism even more ascendant or is it encountering more resistance? And is this fully reflected in the experience of SSF? If the 18 papers in this Special Issue are any indication, there have indeed been important changes. New issues covered for the first time or in more depth in this issue include: (1) the role of national and international speculative finance as the focal point for profit in fisheries and aquaculture, overshadowing concerns about production, sustainable management, and communities; (2) “green” neoliberalism and the rhetoric of Corporate Social Responsibility in which governments prioritize their roles as development advocates and investors over their responsibilities to protect the environment and sustainably manage wild fisheries; (3) the growth of social movements led by indigenous SSFs to protect fish habitat; (4) the successful resistance by artisanal fisheries to invasion and overfishing by larger gear and development projects; (5) government regulation or re-regulation which dampens neoliberal control mechanisms; and (6) the growth of alternative marketing and licensing strategies by SSFs which bypass the corporate fish processors. The special issue is developed with the support of the Social Sciences and Humanities Research Council of Canada (#855-2011-1011, #895-2013-1009, and #890-2010-0141) on research grants led by Ratana Chuenpagdee and Rachid Sumaila and the authors which have informed this discussion.